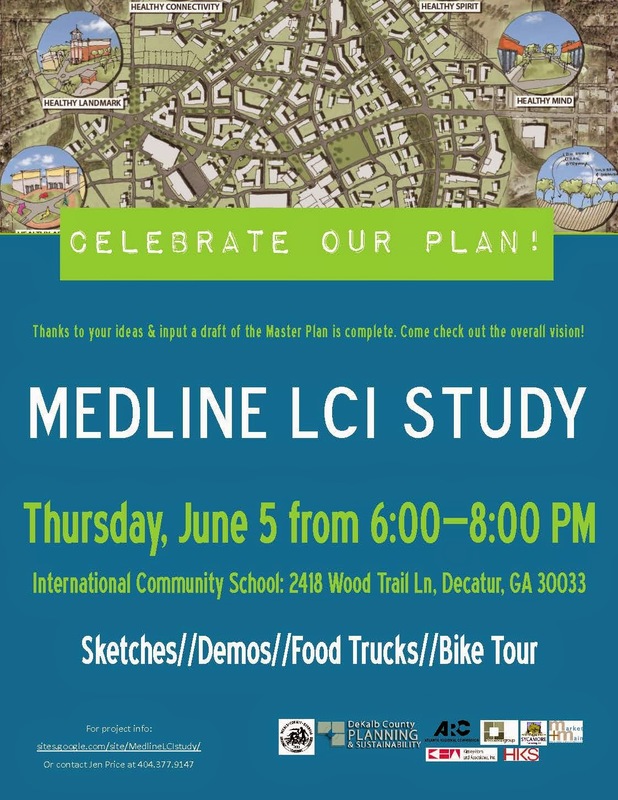 In preparation for the Medline LCI Community meeting on June 5, Deanna Murphy at the Sizemore Group has forwarded a fact sheet summarizing the study process so far. To open the fact sheet, click here. In particular, see page 4 for thoughts about the Medlock/Scott Blvd./North Decatur Rd. intersection. A final, detailed report outlining recommendations and timelines will be available soon and when it is, we will link to it. Until then, additional information can be found at the Medline LCI website and our previous Medline LCI posts. Tour bike starts at 7pm. Bring your bike and helmet!